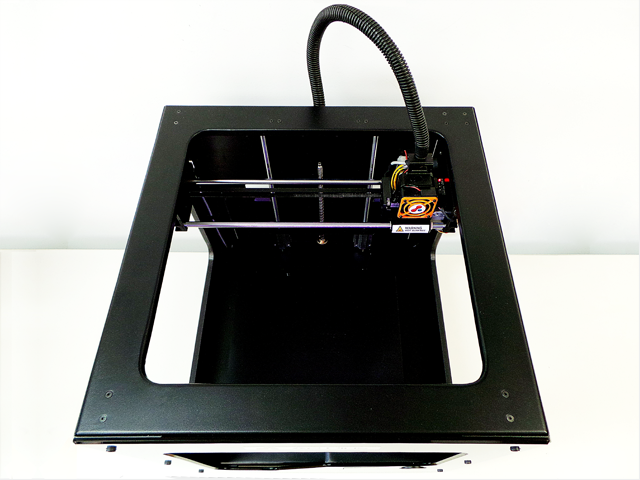 The all new metal framed A2 Plus 3d printer from MaQeo Technologies features several upgrade components based on user feedbacks, enhancing performance and real user-friendly experience. 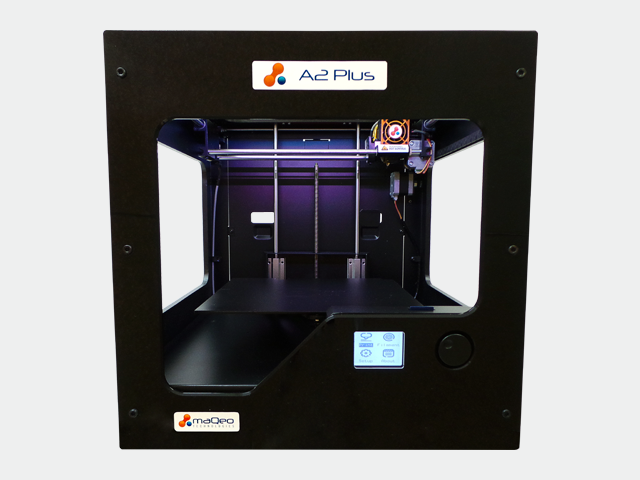 Based on a unique three-inductionbuild platform leveling system, the all new A2 Plus us accurately controlled by mechanical induction other than visual – leveling is now simpler and more accurate, featuring the exclusive smart compensation system, where the distance between the nozzle and three defined points on the building platform are compensated by moving the Z axis automatically when printing, kepping the nozzles from touching the platform and preventing prnting warps and making easier to remove the object from the platform. 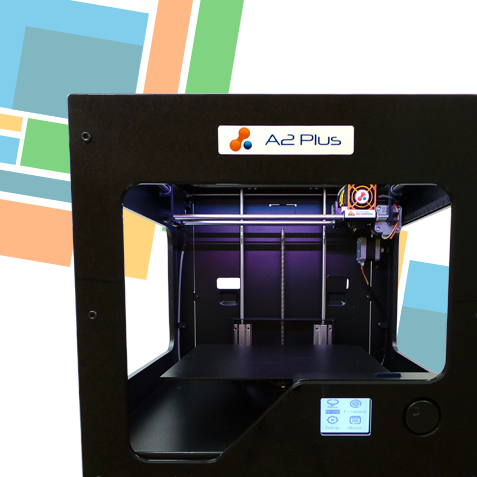 The all new A2 Plus is equipped with towline cables to project the X-axis motor wiring and limiting swing, avoiding failure as the wires move frequently on small-radius bends following the print head, extending the life of the equipment and reducing down time. 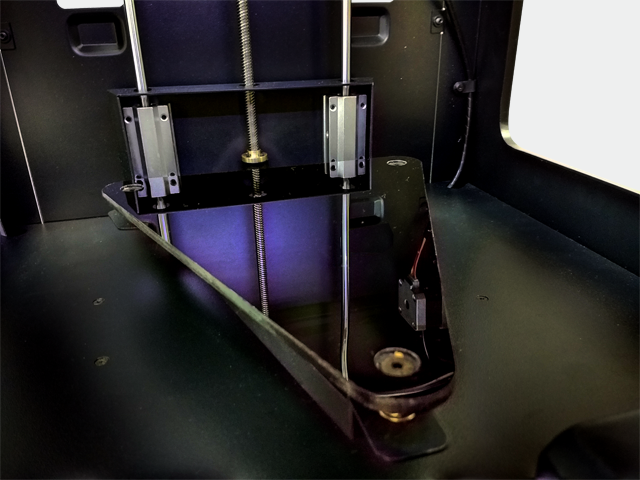 The exclusive build plate is fastened with magnets, which makes prints easier to remove, yet helping to protect the mechanical structure of the printer. 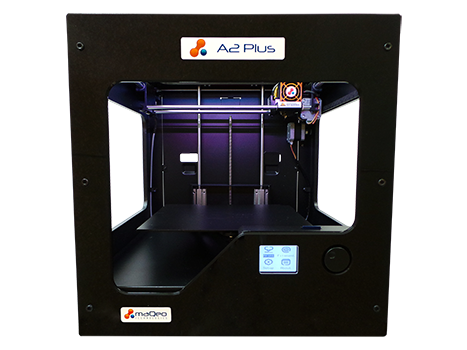 The all new A2 Plus can build high-resolution models and the additional cooling fan improves extrusionstability, creating a more effective cooling system kepping the temperature down even after long hours usage. Multi-color printing materials: You can use colors at the same time and/or pause the printing job to switch colors. MaQeo offers a wide range of filaments in various colors. Automatic calibration: A smart, automatic calibration system makes the A2 Plus more precise and easy to use. 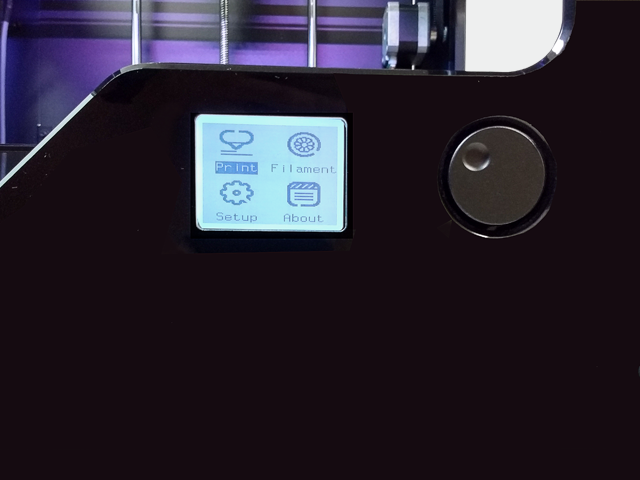 Filament monitor: The A2 Plus comes with a filament monitor, an exclusive add-on that detects problems while printing. Build plate leveling: Semi-auto materials supported, good for the environment. Green materials: Green rated materials supported, good for the environment. 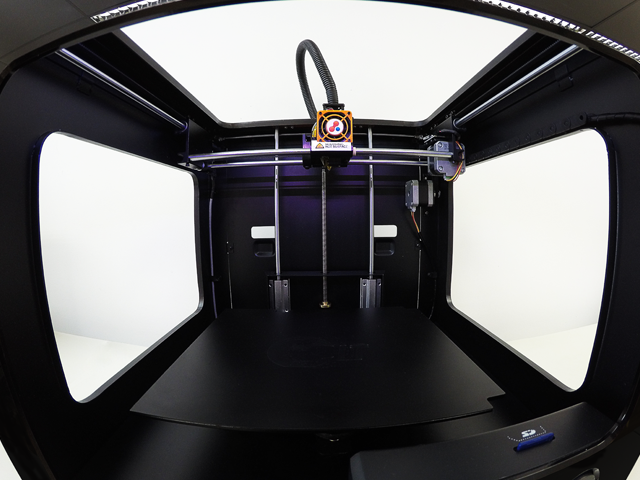 Slicing software: Converts 3D models of STL format into 3D printer executable file format X3G instantly. 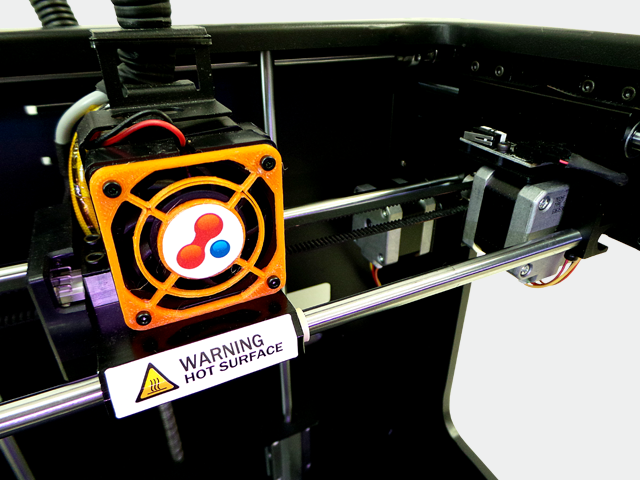 It allows comprehensive parameter setting and print process preview before print. Compatible: Compatible with major 3D software avaible in the market, such as SolidWorks, PRO-E, AutoCad, 3DX Max, UG, Rhino, Maya, ETC., or any software capable of exporting or creating STL files. OS: Windows 7 / 10 and Mac OS.